Product information "Alles über Astronomie"
The perfect astronomy book for first contact with the cosmos. From huge telescopes and space probes to planets, from nearby stars to far-away galaxies, from the first glance at the sky to hobby astronomer: this includes everything beginners want to know. With current findings, many tips for sky observation and the most beautiful photos of the universe. Astronomy can be that easy! Mark Emmerich is a media designer and has been a hobby astronomer for more than 25 years. 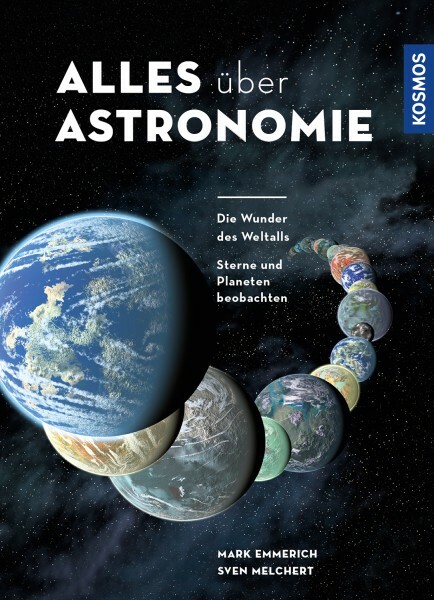 In a team with Sven Melchert, astronomy editor at KOSMOS, he runs his own observatory and contributes to scientific research with measurements.